Have been working on a SharePoint project recently, developing some WebParts & so forth. We have a number of VM’s, one for each developer, and was trying to restore a backup taken from the “production server” – as it’s got more content, etc. I hadn’t been working on the project for a while, and so *MY* copy of the VM was a bit out-of date. Your backup is from a different version of Windows SharePoint Services and cannot be restored to a server running the current version. The backup file should be restored to a server with version ‘12.0.0.6219’ or later. My initial thoughts were along the lines of Service Pack 1 for MOSS – but I thought I’d already applied that, hadn’t I ?? And – how do I check which version of MOSS is installed ? After some quick searching, I discovered it’s actually included as a custom HTTP variable within IIS (!). So, there it is – I’m running v12.0.0.6039 – what now ?!? 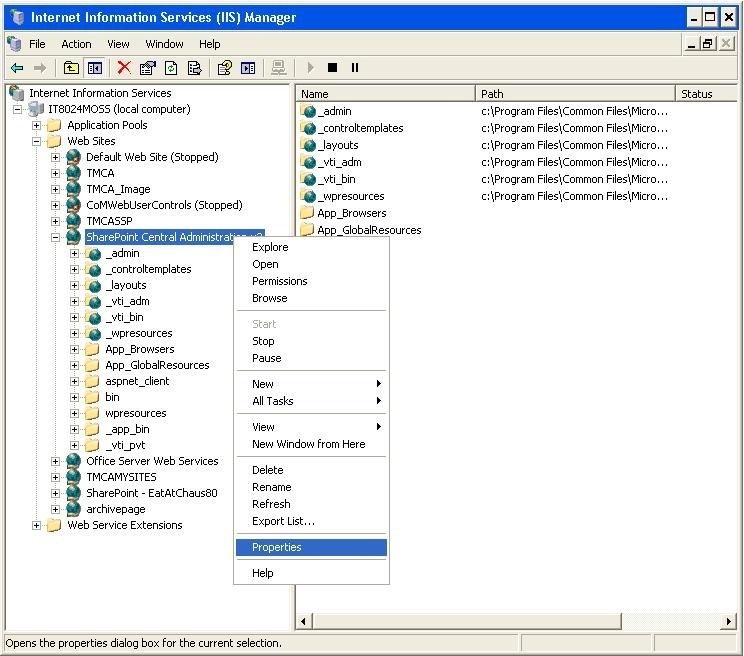 The article contains the following list – very useful, and goes right back to MOSS Beta2, and even includes version details for WSS 2.0 and SharePoint 2003. For now – here’s the important numbers (for my immediate problem). Sure enough, it looks like I need to apply SP1 for WSS and MOSS. Yep – that fixed it ! 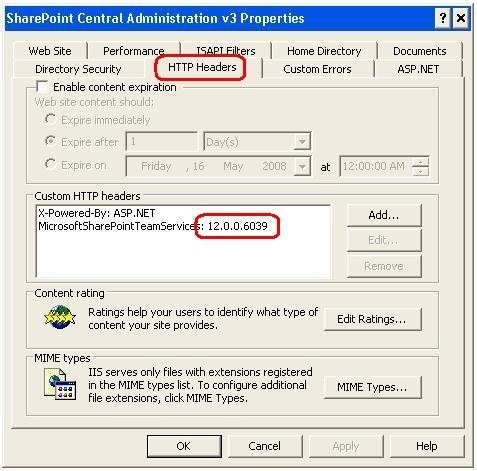 Was able to restore the backup SharePoint database – back to some WebPart development – more later !